Barwon Child, Youth & Family was launched in July 2015 as a result of a merger between Glastonbury Community Services, Barwon Youth and Time for Youth. The history of the three merged agencies is told in Stronger Together. Jill Barnard from Living Histories has crafted an inspiring story of change and transformation and ongoing efforts to improve the lives of our clients and build a community that can realise the benefits of being ‘Stronger Together. In the 1960s Australian dermatologists set out, with lofty ambitions, to establish their own specialist medical college. The founding members of the Australasian College of Dermatologists aimed that the College – the first of its type in the world – would provide first-class dermatology training in Australia and New Zealand and attract doctors of the highest calibre to the specialty. Their vision extended to increasing understanding in medical, academic, government and public circles of the important role that skin plays in health and wellbeing. This history traces the successes and the challenges faced along the way. In 1955, the dust of war had settled, and times were changing. Melbourne’s business leaders knew they needed talented managers to take advantage of emerging global opportunities; so they started a summer school for executives. Ten years later, Australia’s first MBAs were graduating from the Melbourne Business School, and Australia’s first female MBAs were in their final year. 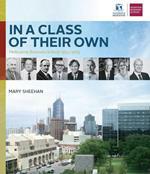 In a Class of Their Own tells the story of 60 years of innovation, town and gown co-operation and a highly motivated community of men and women who sought and achieved excellence in business. Peppered with strong characters and bitter feuds, A Federation of Pilots draws on primary sources from the federation’s archives and uses the voices of its members to bring to life the story of an organisation finding its way within Australia’s industrial relations, political and bureaucratic structures. 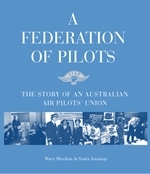 Described on occasion as the most powerful union in Australia, the federation fought since its beginnings to build and maintain the professional status of its members and to achieve recognition of a pilot’s unique skills. A history resource kit for middle years students in the City of Boroondara. The book aims to assist students discover the history of their city. It provides a practical guide to researching, a time line and geographical sources. 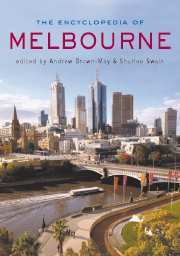 In addition the book includes sections on: People of Boroondara, Working in Boroondara and Living in Boroondara. 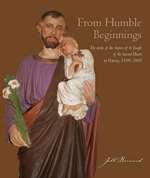 This is the story of the Sisters of St Joseph in Victoria. While they shared the Josephite ethos with Sisters in many parts of Australia and New Zealand, the Victorian chapter of the Josephite story is shaped by historical, social and educational trends unique to this state. The history explores the Josephite spirit as it was expressed in Victoria and, in personalising the experience of the Sisters in Victoria, sheds light on a group of women who had a significant impact on the lives of so many. This history, written to coincide with and celebrate the Commonwealth Games in Melbourne in March 2006, looks at sport at a local level. It chronicles the development of sport in the Boroondara community and positions it within the context of Australian social history. The history gives a representation of the diversity of sport in Boroondara, follows trends over time, and gives stories from a wide variety of sporting lives. Nursing has been transformed in its practice, training and as a career in the years since Melbourne’s St Vincent’s Hospital opened in 1893. This history traces a remarkable movement in which nurses have progressed from being menial workers and are today well-paid clinicians with a wide range of skills and a vital role to play in modern health-care. Against a background of great changes in medicine, technology, social attitudes, women’s occupations and religious practices, this is the story of ordinary nurses who have devoted themselves to their work, and who recall the everyday struggles and joys that all nurses will find familiar. 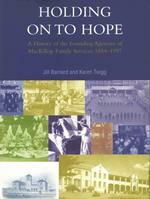 Drawing on rich primary sources, case records and oral histories, Holding on to Hope tells the story of children separated from their families, of women forced to seek refuge from the stigma of unmarried motherhood, and of religious and lay staff labouring to make a difference under demanding conditions. it also offers insight into the broader social and economic forces that influenced Catholic welfare, exploring, for instance, the sectarianism that divided the welfare field, changing notions of ‘appropriate’ care and developments in government welfare policy. In doing so, it makes an important contribution to a neglected subject in Australian History. Published to commemorate 150 years since the opening of Railway Pier on the site of the current Station Pier, Welcome and Farewell weaves in the human stories connected with the Pier. It is a place where countless migrants arrived in Australia, and from which servicemen and women departed for distant wars. It has played its part in many significant milestones in Victoria’s history. Welcome and Farewell reveals the emotional ties that many Australians feel for this significant site. The book is superbly illustrated. Commissioned by the City of Boroondara Library Service, the history was written to celebrate the centenary of Australian Federation. The year 1901 marked a turning point in the way the inhabitants of Australia looked at themselves politically, socially and culturally. A burgeoning of ideas in painting, music, literature and other creative activities occurred in response to a wish to express a distinctly national identity. 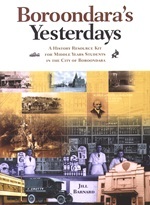 This history reviews the cultural achievements of many of Boroondara’s people from the 1880s to the 1920s. This history celebrates the achievements of the Chinese in Hawthorn and highlights the diversity which has always been a feature of the suburb of Hawthorn. The history is primarily one of the development of market gardens in the Hawthorn area and of small business, particularly laundries. Mary Sheehan and Sonia Jennings were among the 20 contributors to this history that offers unique insights into one of Melbourne’s oldest suburbs. 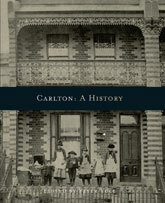 The contributors reveal how, since its initial subdivision in the early 1850s, Carlton has been home to Melbourne’s most diverse ethnic and social heritage: from early bourgeoisie who built the grand terrace houses of south Carlton, to successive waves of immigrants who have enlivened the community. Both residents of Carlton, Mary contributed a series of oral history vignettes and Sonia contributed a history of sporting clubs. 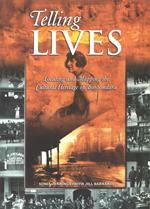 All Living Histories partners contributed material to the Encyclopedia, with Jill Barnard being a major contributor, researching and writing many entries on municipalities. It is an A to Z reference work covering the city’s history from pre-European settlement up to the present day. 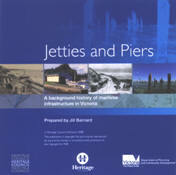 Alphabetical entries range from short factual summaries about places, institutions and events, through to extended survey articles on key topics such as Architecture, Aboriginal Melbourne, Economy, Foundation and Early Settlement, Law and Order, Literature, Science, Sport, Suburbia, Theatre and Transport.